This is Kelli writing - I rode in the NY clinic last week. I am writing to express my deepest thanks for your time and input at the clinic. That weekend helped me a great deal. I started using what I learned at the clinic with my older Morgan the very next day. I don't know how to describe the look on his face other than one of "gratitude." He is my special boy: You know - one of those horses who stands out in your life. It's amazing to me -- All those years in dressage clinics trying to get him to soften, not pull on the bridle, and lift his back. The clinicians had me do lateral work, transitions, work-work-work, etc. ad-naseum. But no one ever pulled me aside and simply taught me how to not pull on him and supple him instead. He ultimately ended up very unsound behind - I'm sure due to the "jammed" riding style I was using. Last week a chiropractor got his back adjusted, but I was afraid to ride him and have him go off again. Well, I rode him three days this week and he stayed light, supple and happy throughout. Mostly walking, but yesterday we even cantered briefly each way. The horse that previously never volunteered to lift his back at the canter did so willingly. We took a long trot around part of a big field too. In the past that always meant a pulling session, with him flying at a bone-jarring trot. This time I just touched one rein at a time, low, asking for a little suppling each way when he started to speed up. To my delight, he responded by dropping back to a relaxed, longer trot, sneezing contentedly. Many thanks to you and wishing you a successful movie career!! p.s. I love the Artistic approach to your video tapes - the scenery is incredible!! See www.pencilplace.com for my prints and note cards! See www.cafeshops.com/kelliswan for mugs, tote bags and other gifts! Fabulous seller, will watch these videos over and over, thanks Eitan! Intelligent, creative, informative videos, learned a lot! Will buy more! Four hooves up for Eitan and his beautiful Morgans! A seller that goes the extra mile! Hope Eitan plans to make more videos! Eitan and his horses are extraordinary! Thanks for the extra fast shipping! Beautiful, breathtaking, inspiring performance! Love this video! Thanks so much! A++++++++++++++++++++++++videos, best on market!!! Thank you! Got videos today. Good service, thanks! Morgan stallion & Eitan are terrific!! Super fast shipment, item arrived 2 days after payment! Incredible videos! Lovely quality videos - Fast and friendly service Thank you. A+++ merchandise-fast shipping-friendly emails! Will definitely buy from again! I use the martingale with great success. The safety value is wonderful. The weight of it seems to make a big difference. Bought the lighter reins and with my stiff fingers they are just right. I can ride for long periods without my hands getting stiff. Head to tail. I used this on a very stiff and strong mare. 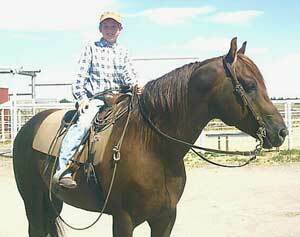 After a few sessions it made a great difference in softness and over all managing her on the ground and under saddle. This is a great tool.